Hair follicle in dry skin. 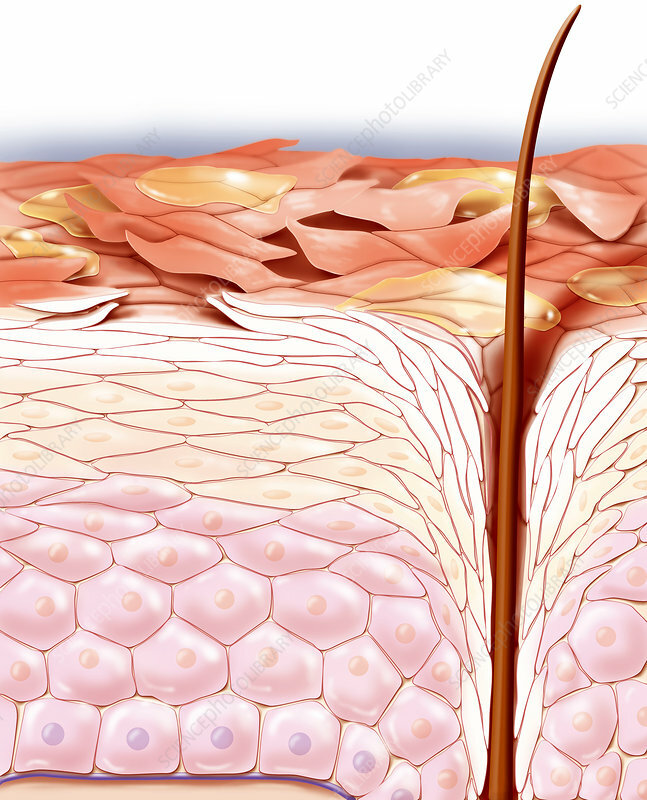 Artwork of a section through human skin, showing a hair (right) growing from a follicle. Across top are the flaking, dead skin cells, present in greater number here on dry skin.